Investigators, journalists, authors and a former Air Force officer will present their findings into the question of unidentified flying objects at the Renaissance Hotel on Oct. 30 and 31. Representing a serious, long-term approach to a genuine mystery, the group will present case evidence, documentation and current status of knowledge on the subject. 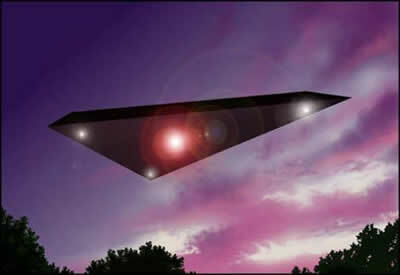 Hollywood, CA (PRWEB) October 20, 2004 -- According to a 2002 Roper Poll, two-thirds of the American public believe that the government is withholding information about UFOs and 60 percent of adults want the information declassified. The government has insisted that UFOs do not constitute a national security threat but stubbornly keeps most UFO related information hidden from the public. So far, declassified records show that some UFOs are not science fiction. Trained observers -- pilots, air traffic controllers, radar operators, astronauts, military personnel -- and government agencies have reported and documented spectacular unknown objects visually, photographically, and on radar. Some have landed and left ground traces in Europe and the United States which have been studied by scientists. One speaker at this historic conference, Air Force First Lt. Robert Salas, a former missile launch officer, was stationed at Malmstrom Air Force Base in 1967 when a glowing oval-shaped object hovered over the base. It disabled nearly twenty nuclear-tipped warhead missiles housed 60 feet underground. 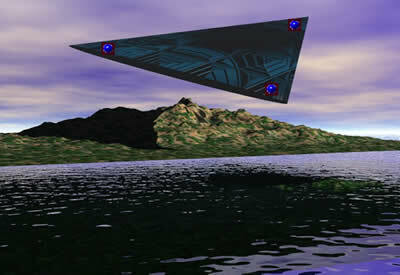 Author and reporter Lynne D. Kitei, M.D., spent seven years investigating the sightings with photo and video documentation of enormous triangular craft over Arizona in 1997 by hundreds of citizens in populated areas. Despite a probe launched by a Phoenix city councilwoman and a lawsuit filed by citizens in 2000, the Department of Defense maintained that it had no information about the triangular objects. Other lectures will look at the history of scientific research into unidentified aerial phenomenon and present formerly classified government documents illustrating the national security concerns of the US government pertaining to the phenomenon. Details on additional speakers and topics are posted at www.nufoc.org. Press passes and interviews can be arranged through The National UFO Conference, chaired by Lisa Davis and John Miller, M.D., an Emergency Physician who practices in Orange County. Since witnessing an unconventional aerial object in the1960's, Miller believes the American public deserves to have objective information on this compelling topic. "The demonstrable facts on the subject are so astonishing that there is no need for speculative theories or sensationalism, "says Miller.